People make a big deal about all that goes on during the summer in the city. The truth is that the real magic happens during the winter! New York City offers holiday shows, world-class hot cocoa, food festivals and tons of fun during the winter season. 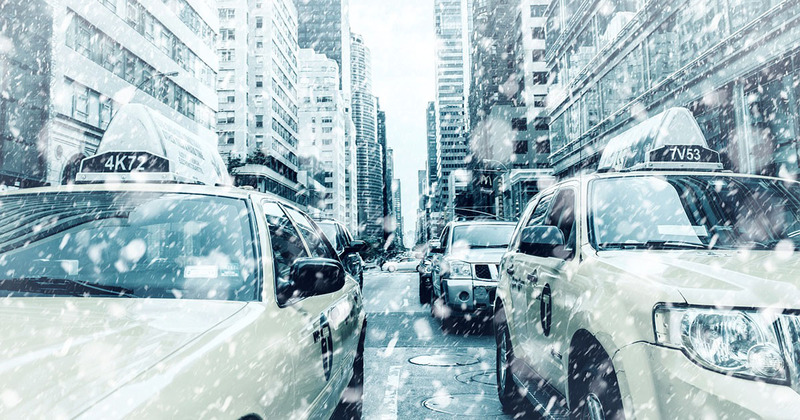 Are you headed to the Big Apple during the year’s chilly months? Take a look at the quintessential cold-weather bucket list for New York City visitors. Grab some mittens and go skating at the Rink at Rockefeller Center this year. This activity has been immortalized in countless films and television shows. Skate rentals are available. New Yorkers partake in the annual Good Riddance Day festivities on Dec. 28 as a way to get rid of baggage from the previous year. This Latin American tradition entails stuffing dolls with objects that represent bad memories before setting them on fire. Use #GoodRiddanceDay on social media if you plan to participate. What could be more fun than cradling some hot cocoa in your hand as you make your way down snow-lined NYC sidewalks? You can find tons of places that offer artisan hot cocoa around the city. City Bakery, Maman, Boqueria, MatchaBar and Amy’s Bread top the list of the best cocoa providers in the city. Don’t forget to try out the famous blooming hot cocoa that’s served at Dominique Ansel Bakery. 2019’s Winter Jazzfest runs from Jan. 10 to Jan. 17. Attendees are treated to performances from more than 100 groups at venues throughout the city. In addition to music, discussions about today’s relevant topics are also on the table. The famous Christmas Spectacular Starring the Radio City Rockettes is still playing after all these years. You can grab tickets for this family-friendly show during the holiday season. The show is better than ever thanks to some new high-tech touches. Get in the winter state of mind by going sledding in Central Park. Pilgrim Hill and Cedar Hill are the designated sledding spots inside this iconic park. Both areas are open to sledders whenever the city gets more than six inches of snow. Hundreds of restaurants across New York participate in NYC Restaurant Week. 2019’s event will take place from Jan. 21 to Feb. 8. Attendees can purchase tickets for full-course meals at participating eateries across the city. Visitors can enjoy models of more than 175 New York landmarks inside the gorgeous Enid A. Haupt Conservatory from Nov. 17 to Jan. 21. What’s remarkable about this exhibit is that pieces are made using natural materials like bark and leaves. While this is a kid-friendly event during the day, bar-car nights are open to adults interested in enjoying cocktails. Looking for a way to warm up in the city? Holiday-themed pop-up bars show up throughout the city in November and December. Some annual favorites include the Holiday Hideaway at the VNYL in Brooklyn, A Midwinter Night’s Dream at LOCL Bar on Broadway and Sippin’ Santa’s Surf Shack at Boilermaker on First Avenue. What’s the best way to fight off the winter chill in New York? Plan a spa day! The world-class spas in the city offer saunas, steam rooms and swim-up bars that will chase the chill away and leave you feeling totally relaxed. Bryant Park has an outdoor rink that’s 17,000 square feet in size. You can also grab some hot treats from the many kiosks and restaurants here. Many people even stick around for drinks in the evening. Have you always wanted to visit the famous Apollo Theater? Experience a night of West African dance, modern dance, martial arts and more this December at Kwanzaa night. This event is uplifting and fun. The 2019 Westminster Kennel Club Dog Show rolls into New York City on Feb. 11 and Feb. 12. Enjoy beautiful breeds and fierce competition at this world-class event. It’s important to get tickets as far in advance as possible. Stage 48 at 605 West 48th Street. This fun fundraiser helps to earn money for neurofibromatosis research. The 2019 run takes place on Feb. 2. Of course, you must register ahead of time and pay a registration fee to participate. This huge festival is taking place on Feb. 2 of 2019. Attendees can enjoy musical performances, dragon dancers, vendors, face painting, calligraphy demos and more. This is an event for the whole family. Fashion Week comes to the Big Apple from Feb. 8 to Feb. 16. This is your chance rub elbows with supermodels and celebrities. You’ll also catch a sneak peek of the looks that will be big this spring. Wishing for some pops of color during a wintertime visit to the city? The New York Botanical Garden puts world-class orchids on display every March. This event offers a nice way to get a boost after many long months of winter. The early part of winter is the perfect time to cram in all of your holiday shopping. You can mix up your shopping by visiting the upscale department stores of Manhattan and browsing for deals in Chinatown’s cute shops. You’re sure to find artisan, one-of-a-kind goodies at shops all around the city. Show up on March 17 to honor Saint Patrick and celebrate all things Irish! The parade route takes partakers up Fifth Avenue and to St. Patrick’s Cathedral before arriving at the American Irish Historical Society on East 80th Street. Be ready to go by 11 a.m. if you wish to participate. It’s okay if you can’t get to the Big Easy for Mardi Gras this year. The Big Apple offers tons of rooftop bars where you can hear live jazz music. What’s more, there are parades and parties around the city. You can feel like you’re at a ski lodge in the middle of Manhattan when you visit a bar in the city that features a roaring fireplace. Black Mountain Wine House, Lobby Bar at the Bowery Hotel and the Ballroom at the Jane Hotel are some of the coziest spots for drinks in the city. Fluffy sweaters and hand-knit scarves serve as perfect attire for visitors. The 2018 tree lighting at Rockefeller Center will take place on Nov. 28. This event draws celebrities and world-class performers. It is free and open to the public. Are you looking forward to a winter full of knitting trendy scarves and hats for your friends and family? Spend some time in the city’s world-famous Garment District looking for fabrics and accents you won’t find anywhere else in the world. This is a must-do activity for any knitter. Is there anything that says Christmastime quite like meeting Santa at one of the most famous department stores in Manhattan? Come to the Macy’s flagship store in December to pose for a photo with Santa. In addition, there are many beautiful holiday decorations to enjoy. This year’s 608 Beer, Bourbon and BBQ Festival takes place on Jan. 26. You’ll find every kind of meat served in every kind of style at this fest for foodies. Tasting sessions and brews are also on the menu. This free walking tour through a Brooklyn neighborhood has become one of the most popular holiday activities for both locals and tourists. The neighbors here decorate with lights, lawn ornaments, motorized displays and more. Expect to see thousands of lights and run into many other people enjoying the views when you show up. The holiday season is the best time to window shop in Manhattan. Iconic retailers like Bergdorf Goodman and Tiffany and Co. show off tinsel-filled, glittery displays in their windows. Kid-oriented retailers like Lego also put up their best displays during the holiday season. What better way to get in a wintertime state of mind than by visiting one of the city’s ice bars? This hot trend will put all of your plans for a traditional pub crawl on ice. Plan to wear a parka and down shots of vodka if you visit popular spots like the Mehanata Bulgarian Bar and Minus 5 Ice Bar. You might be lucky enough to be in New York on a day that snow is falling. Drop whatever you’re doing and head to Central Park to watch the powdery stuff accumulate and catch some flakes on your tongue. You’re sure to get some once-in-a-lifetime photographs on a snowy day in the park. There is no better way to spend Dec. 31 than by heading to Times Square to watch the ball drop. You will catch live musical performances and see celebrities in person as the festivities roll on. Of course, this is the ultimate occasion to choose if you’re planning a wintertime marriage proposal. If you think New York is incredible on the ground, imagine how awesome it is when you see it on an airplane tour! Seeing the city from above only makes you love it more! Make your visit to New York unforgettable! Schedule your personalized airplane tour of NYC today! As your safety is our top priority, all of our pilots are FAA certified! Let us show you the best city in the world in a way you never thought possible!